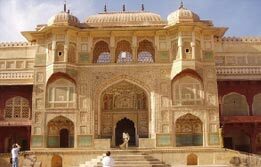 Glorious Rajasthan Tour is a valued itinerary revisiting the land of Rajput royalty and its admired kingdoms. 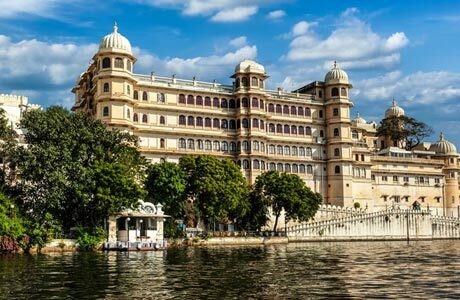 Begin the glorious journey via the island bays of Mumbai and venture into the ultimate luxury capital of Rajasthan, Udaipur which is the first step on to this exciting royal destination. 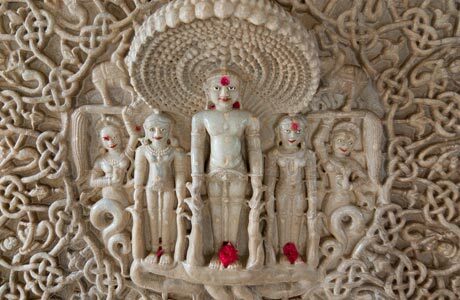 Later, move ahead towards Ranakpur, the spectacular Jain temple village, Sun City, Jodhpur, the Marwari kingdom set in barren desert landscape, pious city of Ajmer and adjoining town of Pushkar. 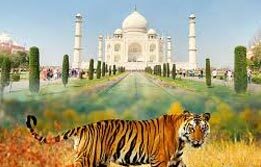 Further towards the end, visit the two iconic destinations of India, Jaipur, famed for palaces and Agra renowned for Taj Mahal in this Glorious Rajasthan Tour. Upon arrival at Mumbai airport, meet India Budget Tours representative who will assist transfers to the Hotel for overnight in Mumbai. After early breakfast, hire a motor boat from the Gateway of India towards the excursion to Elephanta Caves. 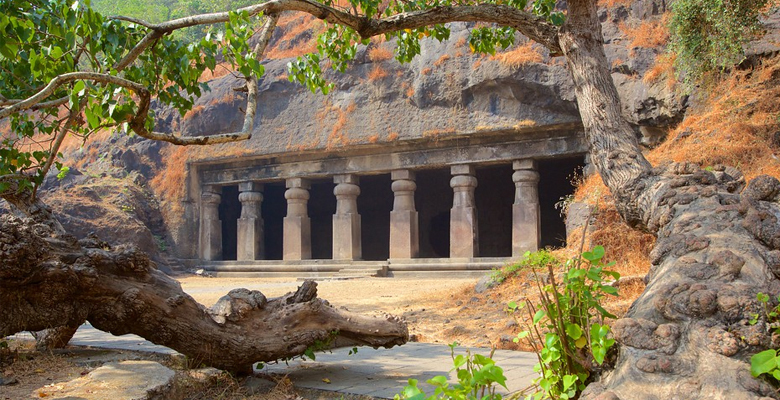 These are a set of world heritage caves renowned for exhibiting ancient India’s most wonderful rock-cut Shiva temples. On return from Elephanta caves, continue with the guided city tour of Mumbai via a visit to Mani Bhavan and Prince of Wales Museum. 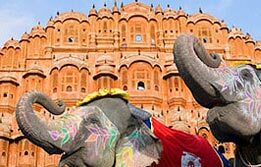 In evening, continue Glorious Rajasthan Tour with a transfer to airport and board the connecting flight for Udaipur. Upon arrival, transfer to hotel for overnight in Udaipur. After breakfast, continue city sightseeing of Udaipur, which is arguably the most romantic destination in Rajasthan resplendent with palaces, forts, museums and lakes. Visit City Palace, Jagdish Temple, Museum, Saheliyon-Ki-Bari and Pichola Lake as a part of Udaipur city tour. Overnight in Udaipur. Check out Udaipur for the day’s excursion to Ranakpur, famed for its spectacular array of Jain marble temples. Made of light coloured marble, the temple complex showcases intricate work on stone that is on par with the famous Dilwara shrines at Mount Abu. After this enriching excursion, continue the journey by surface to Jodhpur, which is around 259 kms and approx. 6 hrs drive. Upon arrival in the Sun City, check into hotel for overnight. 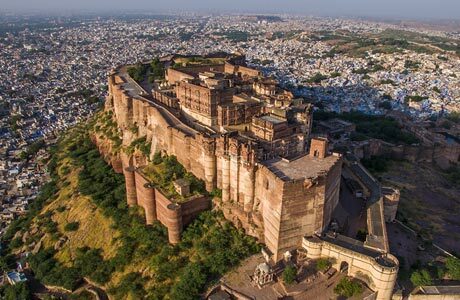 After breakfast, continue exploring Jodhpur, the capital of Marwar kingdom. 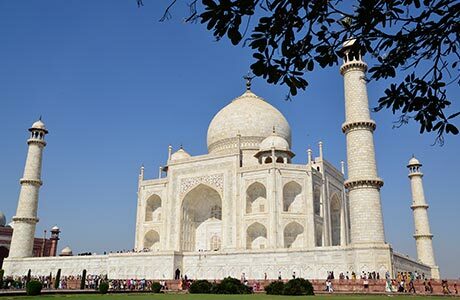 Washed in blue paint, this city is known for its iconic sights including the Mehrangarh Fort, Jaswant Thada & Umaid Bhawan Palace, Clock tower and Mandore Gardens. In noon, drive to Osian and visit the 8th to 11th century Brahmanical and Jain temple complex. 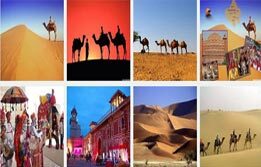 Rent a camel for an enchanting ride on the desert of Jodhpur. Drive back to hotel for overnight stay. After breakfast, drive to Pushkar (200 km / 4 hr). This is a pious Hindu town dedicated to Lord Brahma, the creator of the universe. Enroute visit Taragarh Fort and Dargah Sharif at Ajmer. Check into hotel and relax. 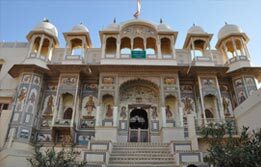 In afternoon, continue Tour of Pushkar via visiting the famous temples, Pushkar Lake. 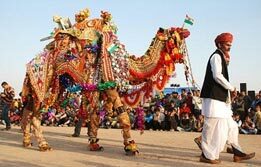 If visiting in November, don’t forget to miss the famous Pushkar Fair Mela also known as Cattle Fair. Overnight in Pushkar. 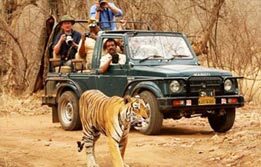 After morning meal, continue Glorious Rajasthan tour via a drive to Jaipur, the capital of Rajasthan (130 km / 3 hr). Check into hotel. 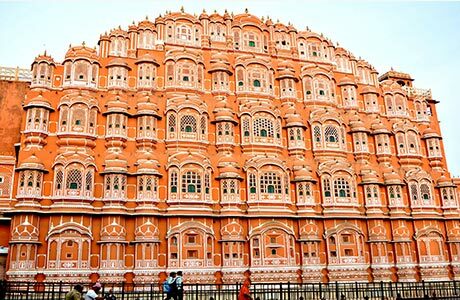 In the afternoon, proceed to Jantar Mantar, a magnificent stone observatory built by Raja Jai Singh; Hawa Mahal or ‘Palace of Winds’ and City Palace. In the evening, explore the colourful local markets of Jaipur. Overnight in hotel. 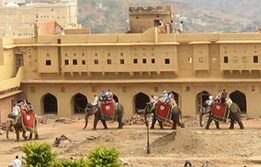 In morning, continue an exciting optional Elephant ride on your way to the Amber Fort, followed by a visit to the City Palace where you can see an excellent collection of paintings, costumes and armoury. 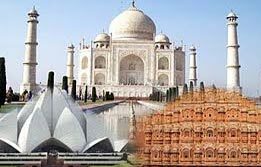 In afternoon, drive to Agra famous worldwide as the city of Taj Mahal (232 km / 5 hr drive). Enroute visit Fatehpur Sikri, the old Mughal capital of Emperor Akbar erected during 16th century. Overnight at hotel. 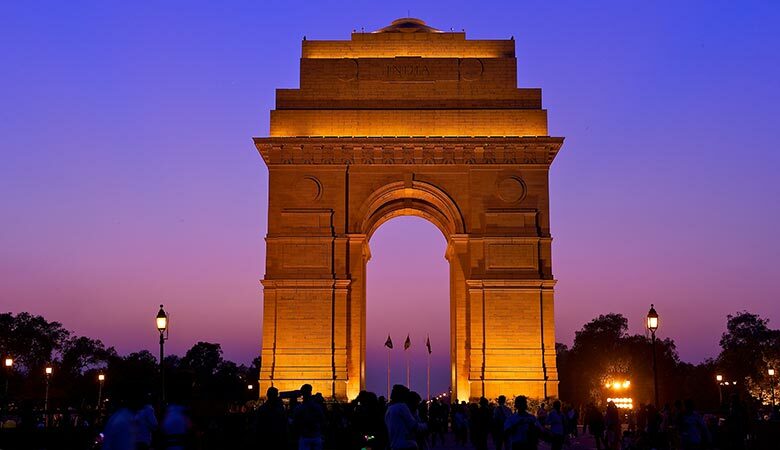 Continue full day city tour of Delhi visiting Qutab Minar, Humayun Tomb, drive pass through India gate, Parliament House and the Rashtrapati Bhawan (President House), the Red Fort and the famous bazaars of Chandni Chowk. If time permits, visit Raj Ghat - the memorial to Mahatma Gandhi. In the evening, transfer to International Airport to connect your onward flight. 01 twin room at each place as per itinerary for total 09 nights. Hotel check in / out 12:00 hrs. Aircon Standard Car (Tata Indigo / Similar) for all transfer and sightseeing as per the itinerary. Local English speaking guide at each place as per the itinerary.